The SERE 2000™ is world renown as one of the strongest tactical folders in existence. 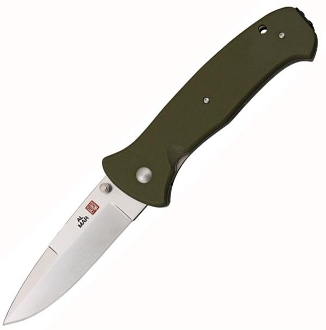 Originally designed by Al Mar and Colonel Nick Rowe in the early 1980’s for the U.S. Army’s SERE school, today’s updated models are stronger, lighter and the most precision versions we’ve ever made. Available in satin finished VG-10 (S2K) or matte black with our new ceramic coating – the most corrosion and scratch resistant finish we’ve found. The SERE 2000™ features pillar construction, flow through design, dual thumbstuds and our reversible Deep Pocket Clip for discrete carry and delivers the kind of performance you need in the real world.